Tonight, it’s a healthy spin on a family favorite. This recipe takes a bit longer than some of the other recipes I’ve posted. I mostly make meals that I can whip up in no time. But this one is just so good, it’s worth the extra few minutes! Lightly coat baking dish with olive oil. Cut chicken into strips. Stir the milk and mustard together. 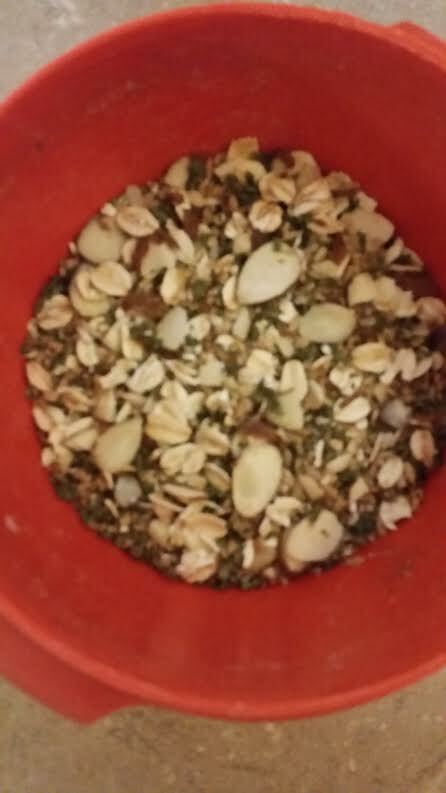 In a separate container, mix together almonds, oats, breadcrumbs, parsley, and pepper. 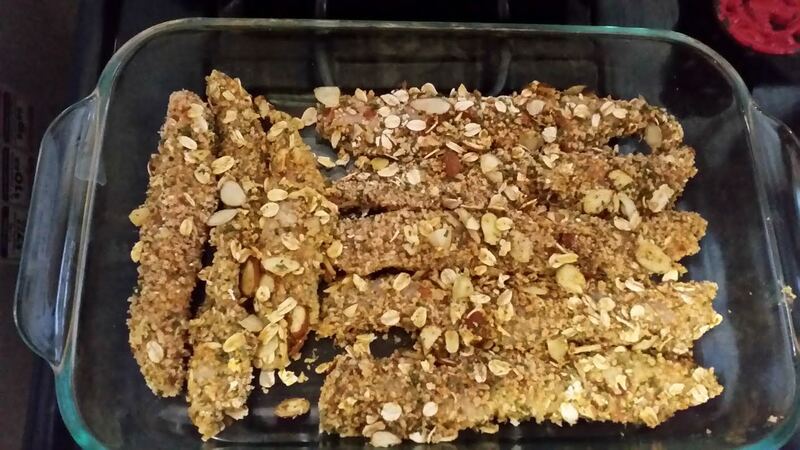 Dip chicken fingers in milk mixture then coat in almond mixture. I served this with green beans, a baked sweet potato, and a side of home made honey mustard dipping sauce. ENJOY!